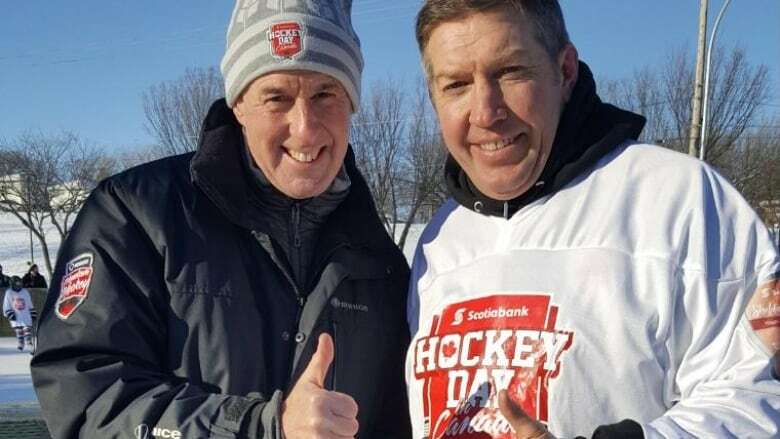 Swift Current is the scene for 2019 Hockey Day in Canada action, with the naming of a rink in Sheldon Kennedy's honour kicking off festivities. Sheldon Kennedy thought he was just coming to Swift Current to kick off the youth outdoor classic game that bears his name. Instead, just before the puck drop, Kennedy was thrown for a loop by a special announcement that the rink itself would be named for the former Swift Current Bronco and NHL player. "I was very humbled and very proud and proud of the city for recognizing, I think, myself but the issues that I represent," said Kennedy. He said he felt his story came "full circle" with the announcement that took place on Thursday during the 2019 Hockey Day in Canada events. Kennedy was among the first to speak out about being sexually abused by his coach during his junior hockey career. He said at that time in the 1990s, he felt people thought his revelations were bringing shame on the team and the town. "When I first told my story, I think that it was a very negative thing in a lot of people's minds and really misunderstood," he said. "There wasn't a lot of knowledge around the issues of child abuse, and especially sexual abuse." Now, there's been a shift in how people understand those issues, said Kennedy, praising Swift Current for taking a leadership role in educating its youth leaders. For the rink to bear his name feels "fitting," he said. 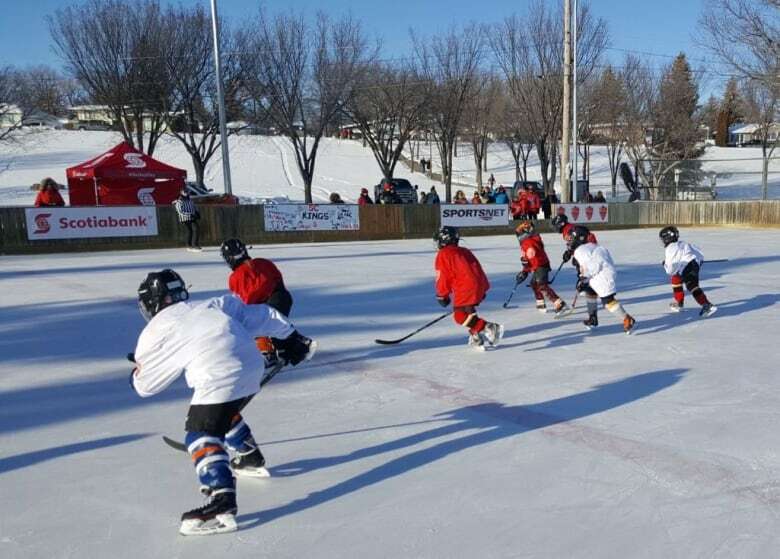 "The outdoor rink, a lot of times, is the safest place for some of these kids to just go and be free and play and and get away from things that might be going on in their life," he said. It was an emotion-filled way to begin the four-day festivities of Hockey Day in Canada. On Saturday, Ron MacLean hosts festivities live from Swift Current's Riverdene Park, with the day-long national broadcast also featuring all seven Canadian NHL teams in action. It's promising to be a big day for Swift Current, with free hockey festivities on the go, viewings of the Stanley Cup and Memorial Cup, and skating action on the city's outdoor rinks. Hockey greats including Lanny McDonald, Darcy Tucker, Cassie Campbell-Pascal, Wendel Clark, Chris Neil, Glenn Healy, Chris Phillips and many more will be attending. There's also six ticketed events taking place, including a Music of Hockey Day featuring acts like The Hunter Brothers and an alumni and celebrity hockey game. The four-day event will cap off with a Saturday night WHL game, featuring the Swift Current Broncos taking on the Saskatoon Blades.